President Donald Trump campaigned against Democratic Senator Jon Tester on Thursday, rallying supporters in Billings, Montana. “Jon Tester will never drain the swamp because he happens to live in the swamp and he loves the swamp,” Trump said during the rally. 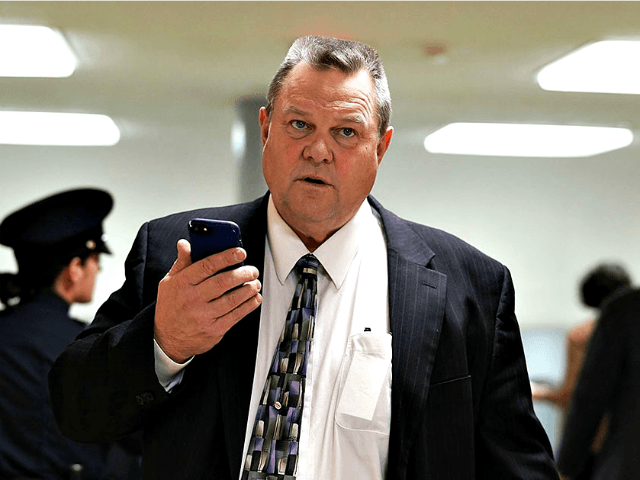 He said that Tester would continue to support the Democrats’ liberal agenda, despite his efforts to portray himself as someone who cared about Montana values when seeking re-election. “Jon Tester talks like he is from Montana, but he votes like he’s Nancy Pelosi,” Trump said, noting that he voted against Kate’s Law, tax cuts, and voted for Obamacare. The president acknowledged that Tester was running ads highlighting Trump’s signature of critical veterans reform bills but noted that he was beholden to liberal donors and lobbyists. “He has taken more cash from lobbyists than almost anyone in the entire Senate,” Trump said. The president reminded voters that Tester smeared his personal physician Admiral Ronnie Jackson with unfounded lies and accusations, effectively tanking his nomination to serve as Secretary of Veterans Affairs.